The change of seasons has an effect on our eating habits. Winter weather gives rise to thoughts of thick soups and stews to warm us; in late spring and summer we usually prefer getting out of a hot kitchen and indulging in lighter fare. Vegetables such as zucchini, eggplant, onions, and colorful bell peppers sliced in half, topped with a bit of olive oil, salt, and pepper are delicious on the barbecue grill. The following recipes for meats, culled from magazines, newspapers, and who knows where else, have graced our warm weather tables for years. 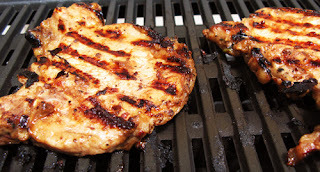 Grilled Chops with Mustard and Herb Butter can be made with lamb, veal, or my choice, pork. Mix 2 tablespoons of Dijon mustard with 1 teaspoon dry mustard, salt, pepper, and 2 tablespoons of softened butter. Apply the resulting paste to both sides of each of 4 chops and grill them for 4 to 6 minutes each side over very hot coals. (Obviously you could also use a gas grill; we’re purists, however, when it comes to grilled meat.) If the chop is especially thick, you should then wrap each one in a square of aluminum foil that has been lightly buttered and cook for an additional 5 to 10 minutes. Serve with an herb mixture which combines softened butter, parsley, chives, salt, pepper, and lemon juice. 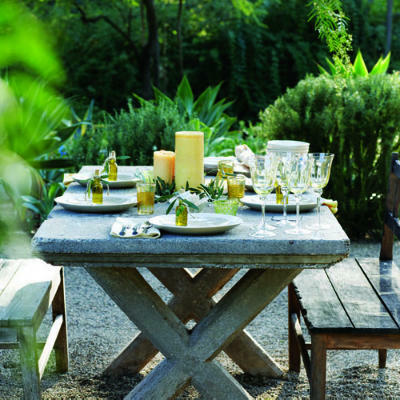 You could actually use any herb combination that appeals to you. Really tasty! Another preferred recipe of mine came from Albany’s Times Union newspaper and is called Cajun BBQ Chicken. Every time I prepare it I remember some men coming to the front door years ago trying to sell me a cable package. The first thing they said was: “Lady, we’ll give you cable, if you give us what you have on the grill!”—it smells just that delicious cooking and tastes even better. The actual recipe calls for chicken strips which should be skewered before cooking. But I normally make it with a whole chicken which I either cut in 2 or at least slice down the back, so that it cooks in a shorter amount of time. 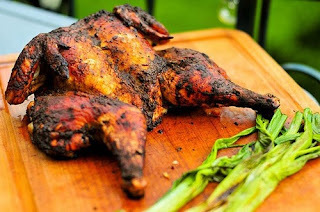 The Cajun rub does require quite a few herbs and spices: 2 tablespoons paprika, 1 tablespoon garlic powder, 1 teaspoon oregano and the same amount of thyme, 1 teaspoon cumin, ½ teaspoon grated nutmeg, ¼ teaspoon cayenne, ¼ teaspoon dry mustard, as well as salt and pepper. Rub on both sides of the chicken. Use indirect grilling so that the bird is cooked through but not overly burned on the outside. I guarantee that you’ll love it! 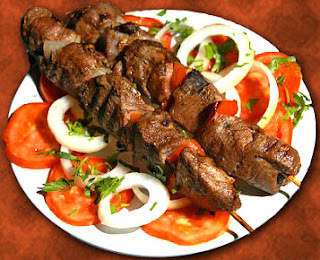 Rounding out the top three barbecue favorites at our house is Beef Shish Kabob. We have learned that grilling meat and vegetables on the same skewer is not usually a good idea since they need different cooking times. This recipe allows you to cook the meat and vegetables separately. In a large bowl, combine 1½ pounds of beef cubes (preferably blade steaks—recognizable by a strip of connective tissue which runs down the middle and which must be removed) with 1 small onion finely chopped, 2 tablespoons of chopped fresh parsley, 2 teaspoons of salt, ½ teaspoon pepper, 2 tablespoons olive oil, and a good sprinkling of dried oregano. Then thread the chunks of meat on skewers and cook to desired amount of doneness. Really great with tzatziki sauce and a Greek salad! I hope this gives you some ideas for great meals prepared on the barbecue grill. Feel free to share any of your top recipes with me! We all know that eating vegetables is good for us, but let’s face it: plain vegetables can really be boring! What I love about spinach, besides the taste, is its versatility. 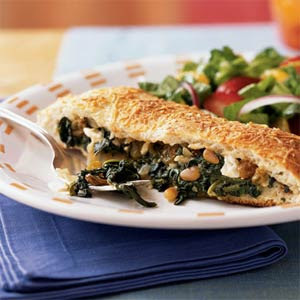 From an easy raw spinach salad with bacon and eggs, to soups, to more complex dishes such as triangles of Greek spanakopita in flaky phyllo pastry, this green, leafy vegetable adapts in many appetizing ways and, as Popeye always knew, provides healthy vitamins, minerals, and antioxidants as well. 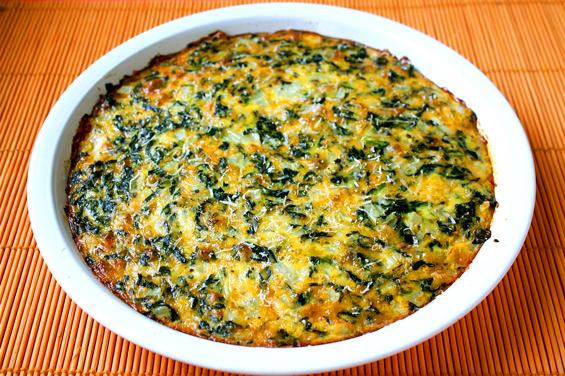 I thought that today I’d share some of my favorite spinach recipes. One new favorite around here is Greek Spinach Focaccia. To make this, you start out by letting a ball of pizza dough rise for a couple of hours coated with olive oil in a bowl which you cover with a tea towel. (You may need to help it along on cooler days by placing it in a warm--not hot--oven with the heat turned off.) Meanwhile steam a 12-oz. package of fresh spinach until it wilts with just the water that clings to the leaves after washing it. In a skillet, slowly brown 3 tablespoons of pine nuts; be careful because they could easily burn. Then cook ½ of a chopped onion and 3 cloves of minced garlic in about a tablespoon of olive oil. When you’re ready to assemble the focaccia, pre-heat the oven to 450 degrees and roll out the pizza dough. Top ½ of the dough with the spinach (squeezed out of excess water), pine nuts, onion, and garlic, leaving about a one-inch border on the edge. Crumble ¾ cup of feta cheese, a tablespoon or two of lemon juice, and some dried oregano on top of the mixture. Add salt and a little cayenne pepper to taste, then fold the top half of the dough over the filling, pressing the two sides together with a fork. Brush with one tablespoon milk mixed with the same amount of water, and sprinkle with ¼ cup of Parmesan cheese. Cut 5 one-inch slits in the top of the dough and bake in the hot oven for about 15 minutes, until golden. Yum! A somewhat elegant dish I found years ago in an issue of Bon Appétit magazine is called Spinach Timbales. You’re supposed to have 8 to 10 6-oz. ramekins to make individual servings of this recipe, but it can be adjusted to smaller containers like glass Pyrex bowls. First, you sauté ½ cup of minced green onions in 3 tablespoons of butter for about 5 minutes. When the scallions have cooled, mix in either 2 10-oz. 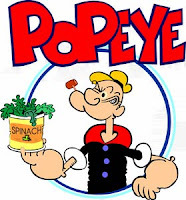 packages of frozen spinach (thawed) or 2 packages of cooked fresh spinach--either way be sure to squeeze out the water. Add in 3 beaten eggs and 2 egg yolks, 1½ cups of half-and-half (or cream), ¾ cup dry bread crumbs, and ¼ cup Parmesan. Sprinkle in salt, white pepper, and grated nutmeg to taste. Place the mixture into the buttered bowls which you place onto a tea towel in a large baking pan and pour one inch of hot water around them. Bake at 350 degrees for 20 to 25 minutes. I've even served this rich, custard-like creation at our house as a special side dish at Thanksgiving. I just love spinach and serve it in so many different ways. 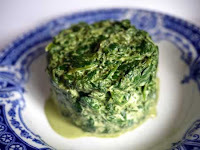 There’s an old favorite, the ill-named Spinach Brownie, which is not a dessert at all, but a vegetable dish baked with mozzarella or cheddar, which makes a great vegetarian meal. Rachael Ray also has some interesting artichoke and spinach recipes, one in combination with mac and cheese. Recently I found something called Spaghetti, Spinach, and Gorgonzola, that I might just have to try someday soon. The East Coast of the United States is filled with history, particularly with respect to the American Revolution. Along the eastern seaboard from New England to the Deep South, one can find battlegrounds where colonists fought for independence against British “regulars.” In April I was able to visit two memorable sites: where the revolution began in Boston and its turning point at Saratoga battlefield in upstate New York. 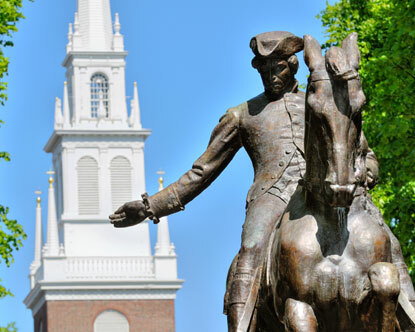 One must-see for history lovers in Boston is the Freedom Trail. This two-and-a-half mile footpath, marked by a red (mostly brick) line on the sidewalk, takes visitors to sixteen official places from Boston Common to two eighteenth-century burial grounds past the Old South Meeting House and the site of the 1770 Boston Massacre. While we enjoyed much of the circuit, the highlight for us was the Old North Church. Also known as Christ Church, this present-day Episcopal parish is the oldest place of worship in the city, having first opened its doors in late 1723. Nearly all American schoolchildren remember memorizing Longfellow’s poem about the midnight ride “On the eighteenth of April in seventy-five.” It was on that date that the church sexton, Robert Newman, climbed up eight stories to alert Paul Revere and William Dawes, waiting on the other side of the Charles River in Charlestown. 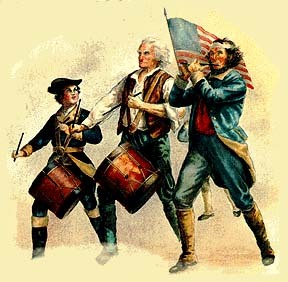 By briefly hanging two lanterns in the church steeple window, Newman silently told the patriots that the Red Coats were taking the water route to Lexington and Concord; there, they planned to seize rebel weapons and to arrest Samuel Adams and John Hancock. Revere and Dawes then rode their horses through Somerville, Medford, and Arlington warning townspeople and enlisting around forty other riders along the way. 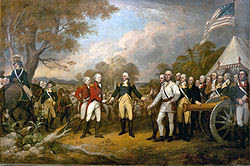 We learned that the men did not shout “The British are coming,” since they were all considered English citizens at the time, but probably something more like “The Regulars are coming!” As a result, the rebel militia was ready to fight and win the first battles of the American Revolution. The Old North Church is notable for its beauty as well as its historical significance. Its classic white interior, with huge windows and beautiful brass chandeliers and sconces, is truly striking. 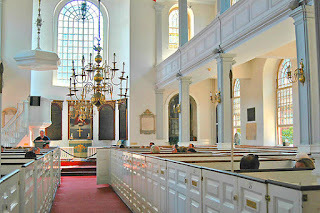 The stable-like pews (called "box pubs"), which were purchased by wealthy parishioners in colonial times, served the purpose of keeping in the heat from foot warmers to ward off the cold New England winters. Poorer members of the congregation had to sit in the upstairs balcony. The clock hanging at the rear of the room, which dates from 1726, is the oldest working American-made clock in existence. The pipe organ, installed in 1759, was the first instrument of its type to be entirely created in the colony; only the case is original. Four lovely hand-carved wooden angels from Belgium stand around the organ. 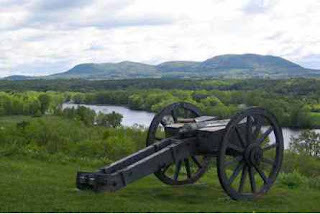 Just a few weeks after our trip to Boston, I made my first excursion to the Saratoga battlefield, now a national park. In 1777 colonial forces—against all odds—defeated British troops and changed the tide of the American Revolution. 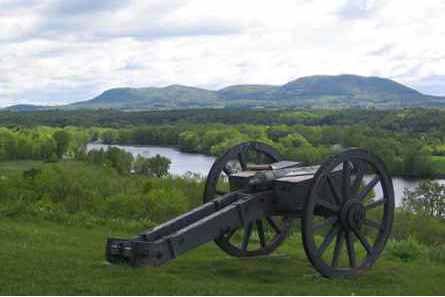 British General John Burgogne led 10,000 troops south from Lake Champlain to the Hudson River; at the same time Colonel Barry St. Leger was to bring his soldiers east from Buffalo along the Mohawk to rendezvous with Burgogne and his men near Albany. Part three of the British plan was to have General William Howe and his soldiers drive north from New York City, but Howe decided to attack George Washington and his army in Philadelphia. Meanwhile in Saratoga, the number of patriots was doubling in size and, aided by wise fortifications and the fact that Burgogne’s men had been on half-rations for several weeks, they were able to surround the British and force their surrender on October 17th. The Saratoga National Historical Park stretches over miles of rolling hills and contains John Freeman’s farm, the Barber wheat field, and many other historically important sites of revolutionary battles. Various activities for adults and children take place throughout the year. It’s really worth a visit.